The red telephone box in Whitnash which was vandalised. 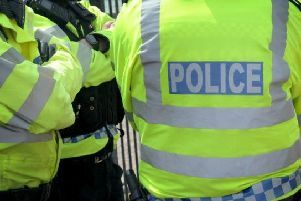 Whitnash Neighbourhood Watch group has reported two cases of "mindless" vandalism which took place in the town in the early hours of Monday morning (June 4). Glass was broken on the newly refurbished red public phone box outside St Margaret's Church. Vandals damaged trees at Acre Close playing field in Whitnash. And recently planted trees at Acre Close park have been broken along with their wooden supports. St Margaret’s church was also targeted where the window and door were damaged. Also three cars had their wing mirrors broken. PCSO Steven Sample of the Whitnash Safer Neighbourhood Team said: "This is a lot of damage in one night and we would be keen to speak with anyone who possibly saw something and knows something. " Contact Whitnash Safer Neighbourhood Team on 01926 684248c all Crimestoppers anonymously on 0800 555 111 or call the general Police number on 101.